It’s time to stop worrying about door dings. 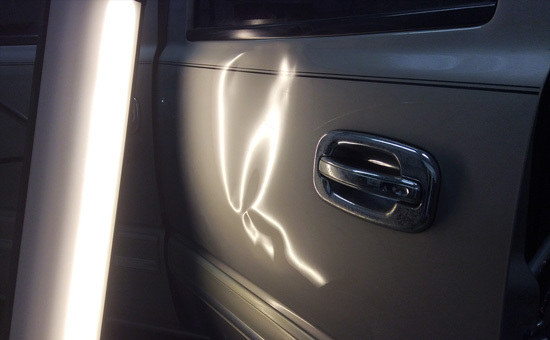 Bailey’s PDR can get rid of most automotive dents including dings, creases, and minor accidents. We are also able to take dents out of motorcycle tanks. 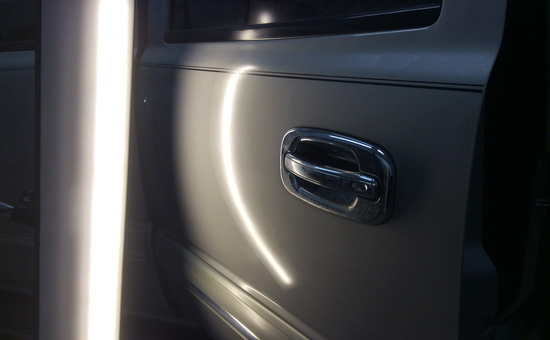 We are highly skilled in paintless dent repair (PDR), and we do not sand, use body fillers, or paint. On small minor dents, a repair usually takes less than an hour. If you have multiple or bigger dents and/or creases, a repair can take from 1 to 4 hours. As we are locally-owned and to show we are dedicated to our customers, we can come to your home or work with our mobile services. Hail damage can be devastating to automobiles, planes, windows, siding, and roof tops, as well as farmers’ livestock and crops. Hail causes billions of dollars in damage every year throughout the world. A vehicle’s value is reduced when it receives hail damage. Bailey’s PDR can help put that value right back into your vehicle. PDR is the standard repair for hail damage, and it is highly recommended by a majority of insurance companies. Instead of using the conventional method, PDR saves time and money when repairing hail damage. After a hailstorm, PDR companies come to town from all over. They set up tents and work with body shops to repair the hail damage. Some of these companies are really good and do quality work. Others are focused on quantity rather than the quality of repairs. These companies leave when the work is all done, and usually don’t return, even if there are problems with the work performed. Bailey’s PDR is a local company; therefore you can count on us to help you out with any questions or concerns, before and after we repair your vehicle. We repair hail damage every year, and we are experts on estimating damages, repairing dented panels, working with insurance companies, and helping customers with any questions they may have. After the storm, inspect your vehicle for damage. If there isn’t noticeable damage, it is still highly recommended to have your vehicle inspected by a hail expert, for in some instances, hail damage can be difficult to verify. Hail damage can include, but not limited to, dents, broken glass, and damaged moldings. If hail damage is visible contact your insurance company or agency to report the claim. Insurance companies will usually advise you to take it to a preferred shop but you have the right to take it anywhere you choose. Shop around and test the waters first. Get to know the companies before you decide on taking your vehicle to a particular one. 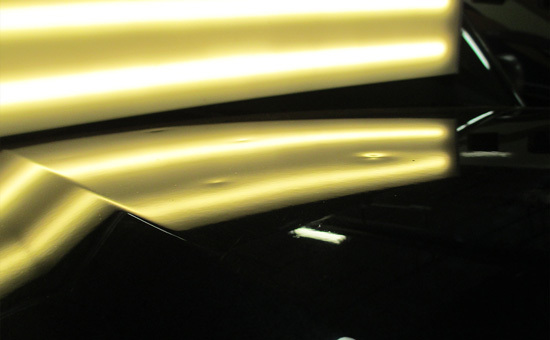 When getting an estimate from a PDR specialist or a body shop, ask questions to understand how the dents are going to be repaired. Refer to Frequently Asked Questions. Schedule an appointment with the company you trust will do a quality and timely repair. 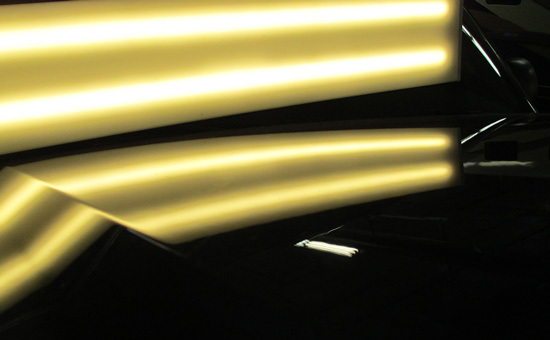 You should never feel pressured into having your vehicle repaired at a specific shop. Having your vehicle repaired at a good shop, should eliminate any headaches or stress that the storm has caused you. Our friendly and knowledgeable staff have repaired thousands of hail damage vehicles and are here to answer your questions and to serve you.